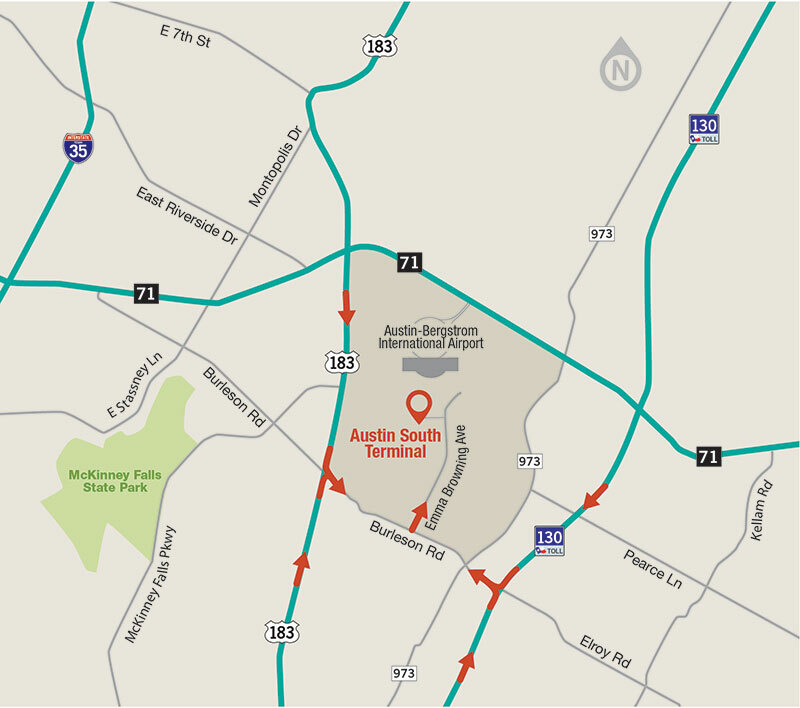 The newly remodeled South Terminal is separate from the Barbara Jordan Terminal and can be accessed by taking U.S. 183 South to Burleson Road. It is not accessible from inside the Barbara Jordan Terminal or from TX-71. 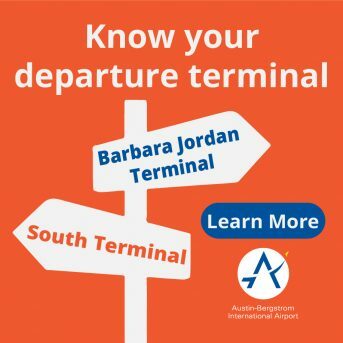 The South Terminal’s long-term parking area is easy to find, right when you arrive at the airport! With such a convenient location you have the option of riding a shuttle bus to the terminal or simply walking to the entrance. For added convenience, our parking lot is a cashless operation. When you are leaving the terminal, simply swipe your credit card at our exit plaza and head home! Lots are determined by proximity to the terminal NOT duration in the lot. You can choose either lot to park in during your trip to the South Terminal.